My contemplation about What Is Not Me and What Is Me, style-wise, continues. Here’s round 2. I often see advice to buy two pairs of pants when you find a style you love, so that one can be hemmed for flats and the other for heels. While I fundamentally understand this advice, I’m stylish but lazy. I don’t iron. I don’t sew. I definitely don’t hem. What reaches a good middle ground with this dilemma is to wear ankle length pants. Ankle pants look good on almost everyone. They’re right-sized for petite women and flattering for us tall types. They make your legs look long, especially when paired with the right shoe (more on that below). Yet they are versatile enough to pair with a fun top and wear for going out. 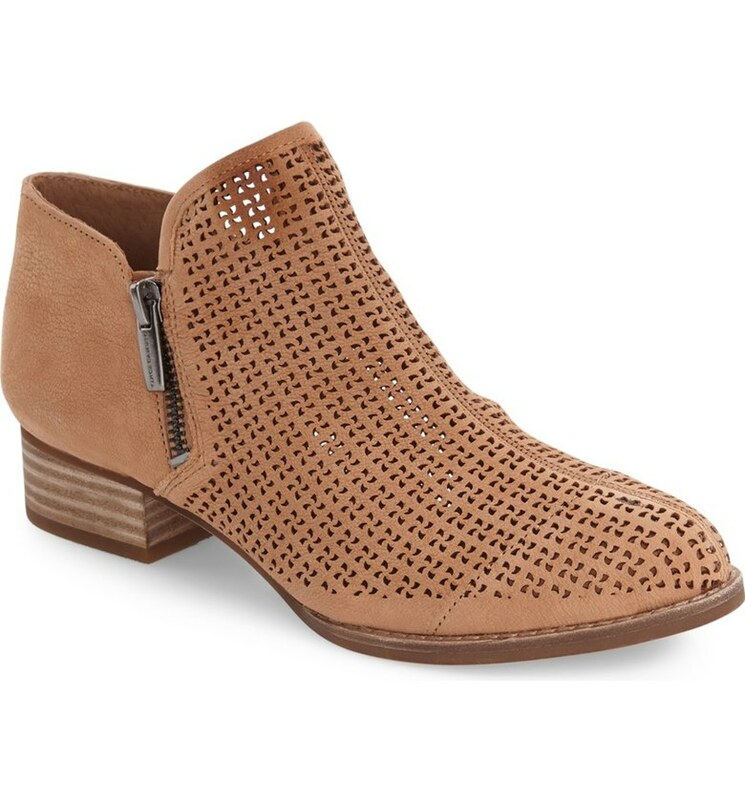 Personally, I think you can find shoe choices that are good for any season, but wearing tall boots over slim ankle pants can obviate the problem of cold ankles mid-January, so ankle pants are fair game for year-round wearing. 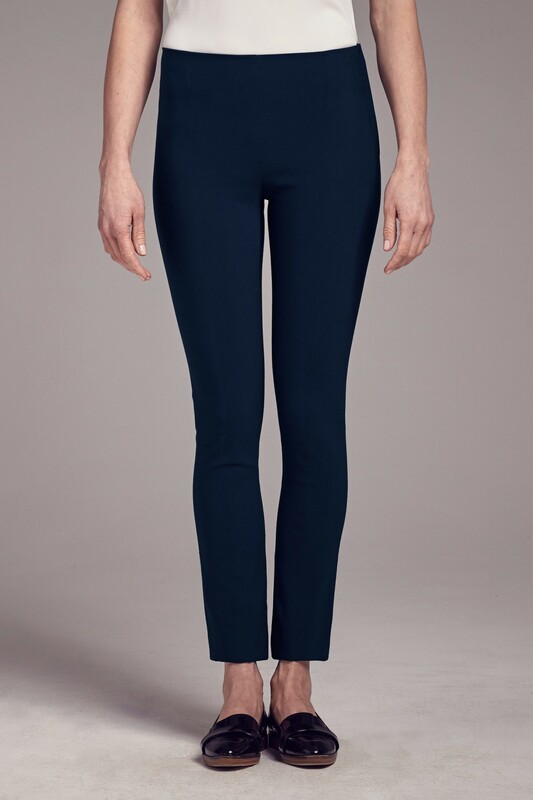 My all-time favorite pair of ankle pants is the Sloan pant from Banana Republic. I own these in black and gray, and I probably wear each pair at least once a week. After about three years in my wardrobe’s regular rotation, they’re both getting slightly worse for the wear, but I’m happy to see that they’re still available if I want to replace mine with fresh versions. Although the care tag says to dry clean only, I’ve had terrific luck with regular washing and air drying them. These pants are also often on sale at Banana Republic, so never pay full price. Another pair I would recommend is the Foster pant from M.M. LaFleur. I’ve posted about these before, but they have a cool feature where they can be buttoned inside the cuff to be made shorter or longer. The Foster’s fabric has a ton of stretch, too. 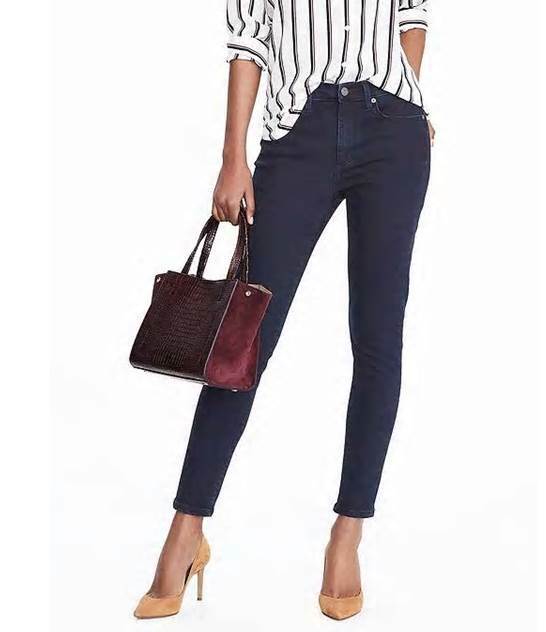 Jeans also work in ankle length. I loved the dark denim wash and the fact that the stitching is also dark thread (i.e. no distracting seams drawing attention to my lower half). These jeans were not eligible for the extra 50% off, but there was a separate sale of 40% off jeans and sweaters that day, so I was able to score them for $98 – $38.20 = $58.80. To top that off, BR cardholders got an extra 10% off and I had a merchandise credit for $64, so in the end I bought two pairs of jeans for less than $20. Score! I may have been dizzy with glee after getting such a good deal and needed to sit down for a bit. What doesn’t really work is anything that pushes up or hits the hem of the pants. 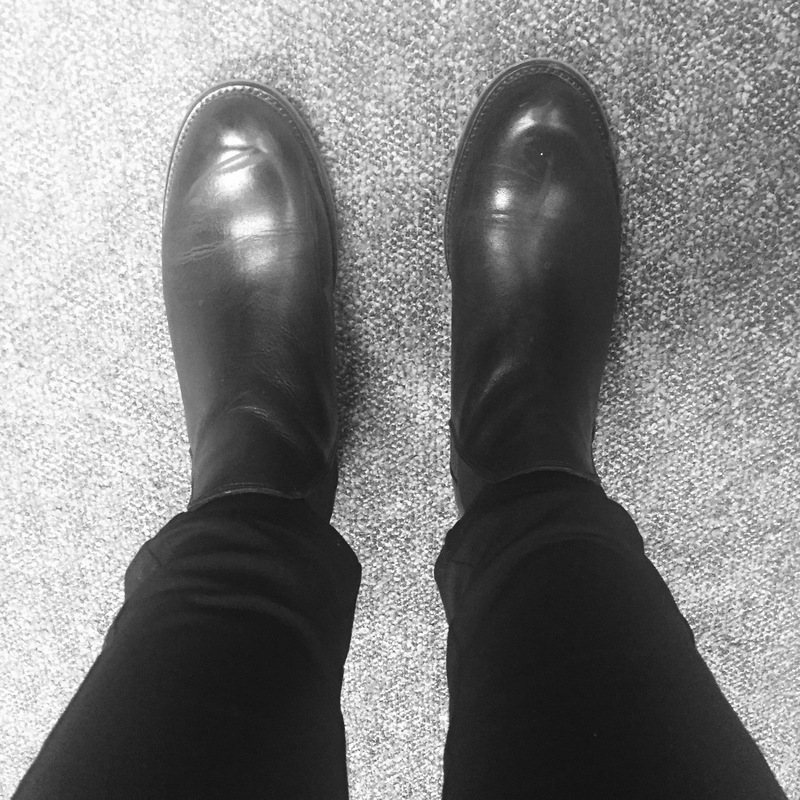 As I mentioned above, even full-length boots could work over slim ankle pants. Pro tip: Look in the mirror before heading out the door. Sigh.